Dimitris Karagiannis, is a Child-Psychiatrist and Psychotherapist, who obtained his Phd from the Dimokritian University of Alexandroupoli. He is the scientific director of the Therapeutic and Training Institute “Antistixi”. He is a founding member of the Greek Child-Psychiatric Association and was the first to be elected as its General Secretary. He is a founding member of the Greek Systemic Therapy Association, whose he used to be a General Secretary. 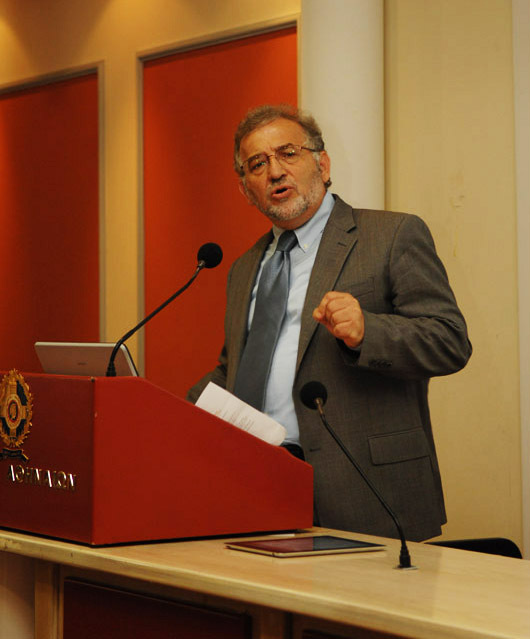 He is a founding member of the Greek Systemic Thought and Family Therapy Association (EESSKEPSO) and of the scientific journal “Psychiatric Notebooks”. He is a member of the European Family Therapy Association. He is the General Manager of the Child Mental Health Center (1986-today), which is a modern child-psychiatric unit, which has a complete scientific group, based on Systemic view. He was a Scientific Manager of the Fthiotida’s Child Mental Health center (1989-1995). He has been a postgraduate professor at the Marasleio Academy. He has been a scientific director of the European Social Training Program for Volunteers Cores. He is a professor at postgraduate, master courses of mental health. His essays have been published in Greek and International scientific journals. He has written three books: “Rogmes kai aggigmata”, “ I adikia pou pligwnei” and as his doctoral dissertation “School denial: a research on the child’s and family’s dynamics. As a writer he has co written many books, as : “For life and family”, “Balkans and mental health”, “children with behaving problems”, “Aimomiksia and therapeutic setting”, “Theology and Psychiatry in a dialogue”, “Education and modern society”, “Intra-family violence: a scientific approach”, “Human communication”, etc.